There’s just something about the experience of eating a plate of noodles that makes you want more. Shrimp with Lemon and Garlic Sauce over Pappardelle Pasta is one of the favorite Italian ways of serving pappardelle. This sauce can also be used with any other fresh or dried broad noodles. Bear in mind that, other than during springtime when fresh English peas are at their peak of the season, you are best off making this dish with frozen peas; look for a good brand of frozen petite peas, which should have excellent flavor and texture in the finished sauce. Bring a large pot of water to a boil over high heat. Add two teaspoons salt and the pasta to the boiling water. Cook, stirring occasionally to prevent sticking, until al dente, according to the package instructions. After pasta is cooked drain well and dress it with melted butter. In a sauté pan over medium heat, warm the olive oil. Add the garlic, paprika and sauté for 1 minute until fragrant. Increase the heat to high, add the shrimp, lemon juice, lemon zest, and dry white wine, stir well, and sauté until the shrimp turn pink and are opaque throughout about 3-5 minutes. Add green peas and cook one more minute. Season with salt and black pepper. Serve shrimp and peas immediately over cooked pasta, sprinkle with the cilantro and freshly shredded cheese. The winner of the Savora Rotary Grater Giveaway is a comment #15 (I don’t count my own comment). The tool goes to “Picnic At Marina”. Congratulations! Marina, please contact me with your address. Thank you, everyone, for participation. I have a new toy in my kitchen – Rotary Grater. The eye-catching design is truly inspired by the passion and romance surrounding food culture. This kitchen tool is designed to affect people emotionally. It is also absolutely fantastic in use. It grates quickly, with little effort, and it is easy to direct the cheese straight from the grater onto the dish you are making. It is sturdy and super easy to disassemble, clean and put back together. Friends from Savora, Lifetime Brands, offered to send a Savora Rotary Grater in Indigo to one of my dear readers. Leave a comment at the end of this post, tell me about your favorite kitchen tool. To double your chances, “like” Cooking Melangery on Facebook and follow on Pinterest, and leave a separate comment on this post telling me that you did so. Do the same for Savora – Facebook and Pinterest, and leave a separate comment on this post telling that you did so. The giveaway open to US Residents only. We love this type of meal Yelena..
Is "sweet paprika" a kind of spice that I should look for, or you mean sweet by not "smoked" paprika? Sorry for silly question. I'm sure my paprika doesn't say sweet, so I need to find out! Looks so easy and delicious. Definitely this will be on our table soon! Thank you Nami for your comments, I think "sweet paprika" and "smoked paprika" it's two different spices. For this recipe you may use either one. I love my potato ricer! I love my knives. They were a wonderful wedding present. My favorite kitchen tool would be my Chef knife. My favorite kitchen tool is my knife. I use it all the time. my favorite kitchen tool would be my wooden spoon! My favorite kitchen tool is my flat-edged wooden spoon. Good for stirring, flipping, scooping! I love my microplane zester. Microplane zester is my favorite tool. I liked you on Facebook and follwed you on Pinterest. I liked Savora Style on Facebook and followed them on Pinterest. I love my garlic press. I know you're supposed to chop it, but I am a lazy cook. I can't live without my knives. I love my cookie scoops. I use them all the time and not just for cookies! i have a garlic press thing that crushes garlic and i use it all the time. love it! My small tongs are my favorite tool in my kitchen. I absolutely love my measuring cups that are designed for sticky liquids/foods like molasses or peanut butter. My favorite gadget is my crockpot (if you call that a gadget)! I love making meatballs and this grater would be perfect to put cheese on them! I also followed Cooking melangery on FB. My crockpot is my favorite .. I couldn't live without my vegetable peeler. I eats tons of potatoes so I use it constantly! I "like" Cooking Melangery on Facebook (FB name: Madeline Brubaker) and follow on Pinterest (http://pinterest.com/shala_darkstone/). I "like" Savora on Facebook (FB name: Madeline Brubaker) and follow on Pinterest (http://pinterest.com/shala_darkstone/). my favorite tool is my good old fashioned rubber spatula. That is one gorgeous grater. My favorite kitchen took is a zest grater. And I don't have a cheese grater just yet. This would comes in handy to make your gorgeous pasta. Thanks for hosting the giveaway. Following Savora on Facebook now. Following Savora on Pinterest now. My favorite kitchen tool is the one that gets used most often which is my cheese grater. I liked Cooking Melangery on fb. 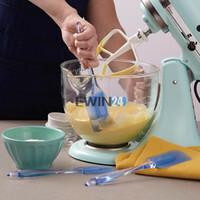 Torn between my mixer & chef's knife. My favorite tool is a garlic press. Or please email me: ghaeek AT gmail.com Cheers! I like my gadget to cook eggs in a nice sandwich shape.